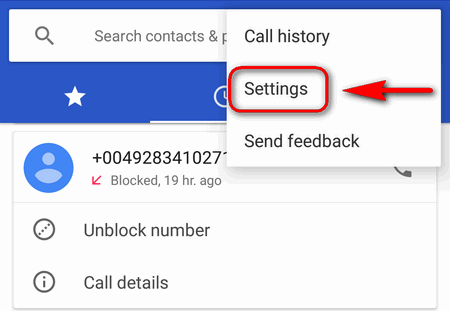 You can use a block list feature if you want to block unwanted calls and text messages from a specific caller on Android. 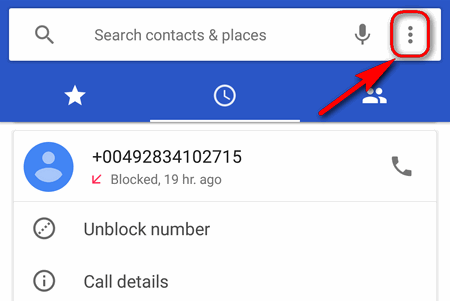 Today we will show how to add a phone number to the black list on Google Pixel under Android 8 or 7. 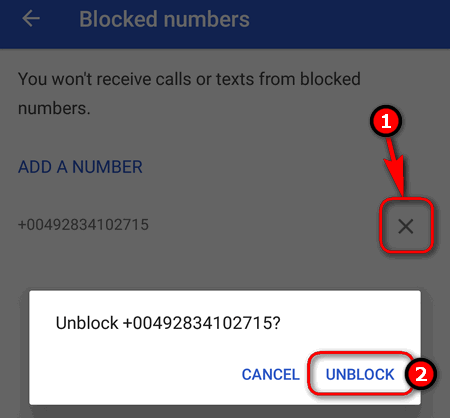 Also read about how to review your blocked numbers list and unblock a certain caller. 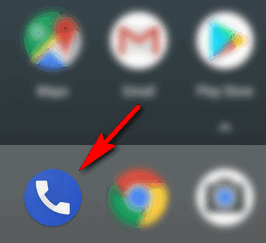 After you blocked someone on your Google Pixel you won’t receive neither a sound nor even a blink of your display when the blocked subscriber tries to call you or send a text. 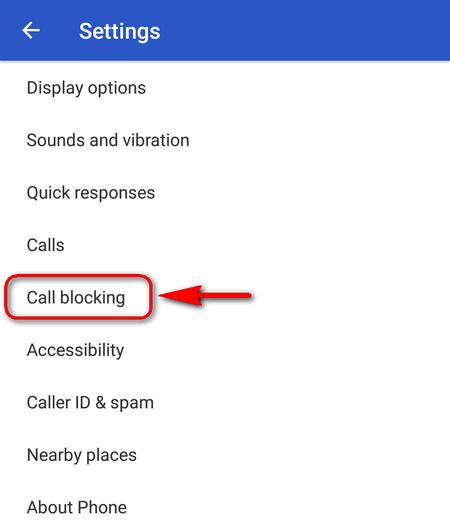 You won’t see missed calls on your “Call history” list. 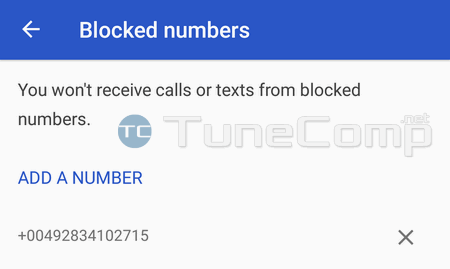 You won’t see texts from banned numbers in your Messages app either. 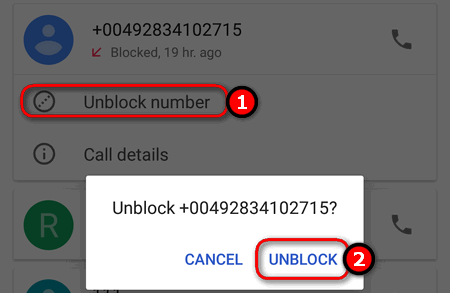 All calls from the blocked phone number will be rejected – the caller will hear the “busy” tone. 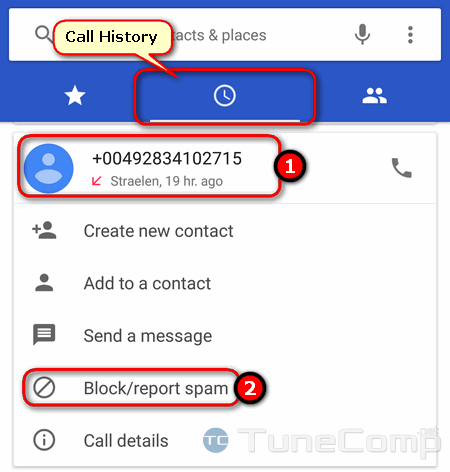 Go to “Call History” (a.k.a. Recents). 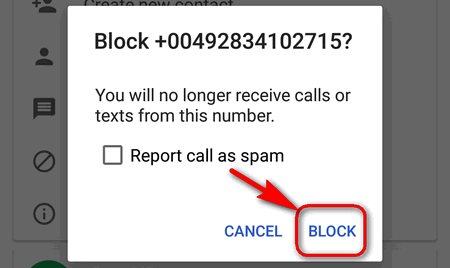 Tap on the phone number you would like to block calls and text from. This is even easier. And you have two ways to do it.